Don’t let your preconceived notions about laminate deter you from this popular and long-lasting flooring. Since its original inception, advances in floor manufacturing have continued to improve the beauty, durability, and longevity of laminate flooring. Let us show you just how great your space will look with stylish and durable laminate floors. We offer stunning collections of laminate is that resembles either natural stone tiles or wood plank. We are dedicated to helping you find the right solution to meet your budget, match your home décor, and add to the value and function of your space. In addition, the laminate tile flooring we stock is updated every season to assure that you will have the most diverse options and new styles that fit modern homes. You will never overpay or end up settling for a substandard option when you choose our flooring store for your next home update. Why Choose Laminate Floors for Your Home? Laminate wood flooring has only continued to increase in popularity because it provides the look of high-end flooring, without the high-end cost. 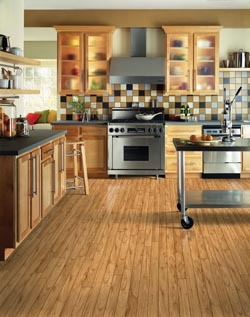 Laminate tile and wood flooring are our most affordable options. If you are interested in new floors that offer the appearance, performance, and price your home needs, laminates may be the ideal solution. In addition to the types of wood laminate flooring we offer, our selections also include products with the appearance of high-quality tile, such as natural stone, marble, travertine, porcelain, and more. Laminate tile flooring is a cheap alternative to normal tiles and is much quicker to install. This creates a more stunning option for your home, yet easy on your wallet. The knowledgeable associates from our store are available to assist you with every aspect of the flooring process—from selection to laminate flooring installation. We listen to your preferences and figure out if a classic style is right for you or if you are more drawn to a pattern that is unique. New flooring enhances the total look of your décor while adding long lasting value. Rely on us to take the time to understand exactly what you’re looking for in your new floors, so that you can narrow down your options. You can feel confident that in a single, stress-free visit to our local showroom you will be able to find the laminate floors of your dreams. Support your investment by also turning to us for laminate flooring installation. We are here to help you find the right flooring but to also make a change that you’ll love for years to come with professional installation. With flooring like laminate, the install can be completed in a short time and on your schedule. We keep convenient appointment times, show up to your home on time, and work efficiently. There is no job too large or too small for our team to handle. Your installation will be done right the first time when you rely on our flooring experts to install the floor style of your choice. As a part of our commitment to customer satisfaction, we extend our excellent service into the homes of clients. With professional laminate flooring installation from our on-staff technicians, you can feel confident that your new floors will look great and hold up well far into the future. Each installation we complete is backed by a promise that we call the Ultimate Confidence Guarantee. Once the flooring is installed in your home, you have 30 days to get in touch with our business. If you aren’t happy with any aspect of your new laminate, we will replace it with a similar product completely free of charge. To learn more about the laminate flooring from our store, contact us at your earliest convenience. We proudly provide installation for homeowners in Rancho Cucamonga, Alta Loma, Upland, Fontana, and Ontario, CA.